Taking Notes the Accessible Way! This post will focus on the topic of taking notes in a lecture, tutorial and/or seminar setting. If it is your first time to take notes in any of the afore mentioned environments, chances are you will try and transcribe what the speaker is saying word for word. This is the approach I took when I first started taking notes, and I quickly realised that such a strategy was basically impossible. Also, taking down everything a speaker says is not always beneficial. For example, a good teacher/lecturer will say the same thing a number of times in different ways. If done correctly, this will not sound repetitive and there is a greater chance of reaching students who may learn differently. Therefore, taking down several variations of the same information which may not appeal to your style of learning is not going to help you. I believe a much more sensible course of action is to actively listen to what is being said, and take down the information which you can understand and learn from. Such note taking is a skill, and it may not be a skill you will acquire immediately; so don’t panic! A possible way to reduce any anxiety regarding note taking, would be to use a voice recorder during lectures. I wouldn’t advise this as a replacement for taking notes, but it can help at the beginning if you are really worried about missing something. It is very necessary to consult your lecturer prior to using a voice recorder during lectures. In my experience, lecturers are perfectly ok with the use of a recorder, but I have been asked to make sure the recordings are only used for my use and go no further. 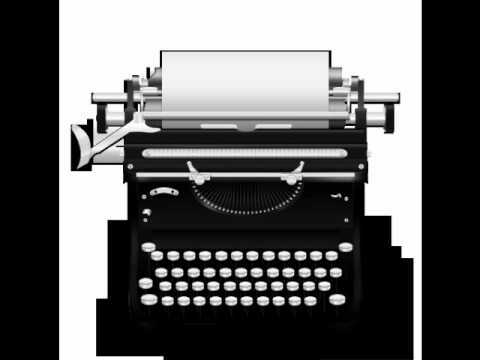 Image of an Old Typewriter sourced from Microsoft Word. 1. Laptop/MacBook, Screen Reader and Word Processor of Choice. 2.	iOS Device, Bluetooth Keyboard and AN Accessible Note Taking App. I think this combination is essential for college/university anyway, and it is also a very good method for taking notes. However, it is not always the most portable solution, and it can be inconvenient in terms of making sure your battery is charged etc. Regarding Windows, my personal setup consisted of a HP/Compaq Laptop, JAWS and Microsoft Word. I do believe using NVDA and another Word Processor would work equally as well. On the Macintosh side of things, the most portable combination would be a MacBook Air, VoiceOver and TextEdit or Microsoft Word 2016. The MacBook Air is the smallest of Apple’s MacBook line-up, and the newest models have very long lasting batteries I have heard. TextEdit is the built-in Word Processor on Macintosh, and Microsoft Word 2016 is going to be released soon and will be the first version of MS Word to be accessible on the Macintosh. Please note, in my experience, the popular Pages Word Processor is largely inaccessible, and cannot be used in an effective manner for college/university. This combination would be in addition to the mentioned Laptop/MacBook option, and I think it is a much more portable option with a longer lasting battery. I have personally used an iPad, a Keyboard Case and NoteMaster. As discussed previously, the iPad is 100% accessible, and an iPhone or iPod Touch are just as accessible. When it comes to note taking apps on the iOS device you are using, there are many choices, and it is more or less down to your own personal taste. This link will bring you to the Productivity section of Applevis’s iOS App Directory. Some of the note taking apps which are available are not 100% accessible, and I would recommend trying to get a free version to test before purchasing a full version. If you would rather not download any additional apps, the built-in Notes app is completely accessible on iOS and would be perfect for taking notes. I really hope the above information is of help to someone taking notes, or thinking about taking notes themselves. I spent the first year of college having someone else type my notes, and it was effective, but I found I had no connection with what was being taken down. At the beginning of my second year I began taking the notes myself, and it was the best decision I made. My active listening skills kicked in, thankfully, and I felt I was much more engaged with what was going on in the lecture/tutorial/seminar. As usual, if you have any questions and/or would like to know more, please don’t hesitate to get in touch. I’m not sure if you are aware, but the Eurovision Song Contest was held in Austria over the weekend. This year, an artist called Mans Zelmerlow representing Sweden won. You can listen to Mans’s winning performance by playing the below video. It is a very catchy song and is a deserving winner in my opinion.